On the night of 13 April 1970 these words were heard in Mission Control during the Apollo 13 mission. There's been plenty written, televised, and filmed about Apollo 13 so I won't rehash that story. But did you know that there was a group of five NASA personnel on the ground who actually saw what was happening? There they watched a television monitor hooked up to a 16-inch Schmidt-Cassegrain telescope with a television camera mounted in place of the eyepiece. 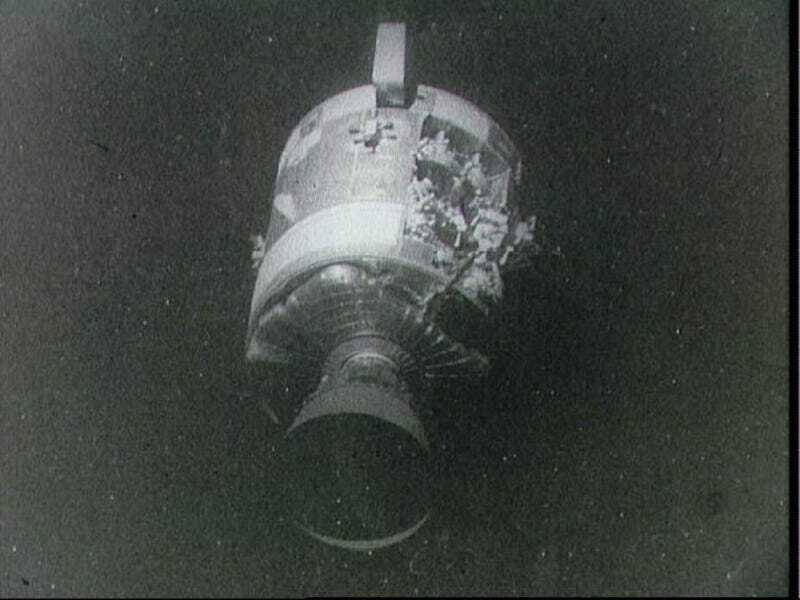 The monitor showed two dots flying in formation on their way to the moon: the brighter of the two was the spent third stage of the Saturn V launch vehicle; the dimmer one was the Apollo 13 spacecraft, which had separated from the third stage two days earlier. What they saw was the ruptured tank venting oxygen into space. In case you're wondering if I have the famous line wrong, listen to this.